The most striking, and endearing, thing about Kiran Desai is how laidback she is. Even with an interview being conducted on limited time, it's easy to drift into a free-flowing, non-bookish conversation with her: about the very filling lunch she just had at Swagath (an ill-advised way to start an afternoon that will be spent talking with journalists); about how Delhi's food culture has changed since her childhood days, when the Punjabi-Chinese at Golden Dragon qualified as fine dining. Later, when she marvels at debutant writers getting younger and more publicity-savvy (“isn’t it disgusting!” she stage-whispers in jest), it's possible to forget she's an author herself. She doesn’t go to book parties or publishing events, she says; the thought of writers putting their personal email IDs on their websites makes her wide-eyed. Besides, I never do succeed in wheedling out why it took her seven years to complete a second novel after Hullabaloo in the Guava Orchard (1998) - this in an age when publishers warn authors that there mustn’t be a long gap after the first book. Desai's faraway expression suggests she isn't quite sure herself what she was up to. "I suppose I was working and reworking the second book a lot," she says vaguely. Set in the mid-1980s in Kalimpong, high in the northeastern Himalayas, The Inheritance of Loss centres on three people and one dog living together in an ancient house named Cho Oyu. There's the embittered, reptilian judge, lost in his chessboard and in his memories: of a youth spent at Cambridge many decades earlier; of humiliation in a foreign land. Staying with him (in this order of affection received) are his beloved dog Mutt and his 17-year-old granddaughter Sai, who was orphaned as a child. The judge's cook, who manages the household, and a few neighbours scattered around the area, round off the cast. As the story unfolds, insurgency is growing in the region: the Indian Nepalese want their own country or state, a Gorkhaland where they will not be treated as servants; young boys, trying to be men, roam the mountainside looting houses, collecting ammunition. Their predicament is contrasted against that of Indians settled abroad (the cook's son Biju, stumbling from one job to the next in the US, in a humorous parallel narrative). Reading Inheritance, one initially feels it could have been shorter - with many characters, and a narrative that leaps around in time and space, it occasionally gets unfocussed. But Desai’s descriptions of the things she had to leave out (the back-stories of characters who seem shadowy in the final draft, for instance) are so vivid, it’s possible to wonder instead if a longer version of the book might have been more effective. Desai was 15 when she left India - she lived in England for a year and has been in the US since then - and it’s tempting to pigeonhole her as another NRI writer obsessed by themes like dislocation (something that certainly runs through Inheritance). In person, however, she comes across as someone who’s never really felt out of place no matter where she’s been. She’s pleasingly unselfconscious about the topic of immigrants, joking (again from the outside, as if she isn’t personally involved) about the various kinds there are: “those who throw up their hands at the difficulties - and, at the other end of the scale, those who are expert at playing the ethnic card, accentuating the character traits they are expected to have, and thereby making a success of their lives”. Like Biju’s worldly-wise friend Saeed Saeed, one of the many characters in Inheritance she would have liked to give a bigger stage to. In blog-related discussions in the past I’ve mentioned how much scope there is for misunderstanding when you know a person only through their writing - hence the phenomenon of readers taking a post dead seriously when it was written in a facetious vein, or extrapolating a rigid, all-encompassing worldview from a single throwaway sentence. Interviewing Desai was similar in a way. I had half-expected to meet a very solemn Indian Author Settled Abroad, keen to pontificate about the plight of people who have no place to call their own. But this was a nice surprise. I am looking forward to read her novels. Thanks. It would be quite interesting if Priyanka does a series on you. Now who's a lucky fella? You're the number one google hit for "Kiran Desai." That should be good for a few hundred new visitors to your site. Couldn't have happened to a nicer fella. There is so much of what you feel about Kiran Desai and her book and so little do we hear from Kiran Desai in first person. Kalimpong: An Inheritance of Loss! As a fellow local of Kalimpong, I was compelled to get hold of Kiran Desai’s ‘Inheritance of Loss’ that came into limelight after it clinched through the Booker Prize, 2006. Several reviews in national dailies, reputed magazines and internet, floating around of late, many praising the literary merit of the novel while others criticising her mocking attitude towards Nepali speakers and Kalimpong, supplied added impetus to me to lay my hands on the award winning work. The novel, although not directly based, has a foundation in Kalimpong Town located in the western part of Darjeeling Hills in Eastern Himalayas. Reading through the pages, I immediately had an impression that there was an ample scope for any educated locals to be annoyed given the manner in which the author has handled Kalimpong, its diverse ethnic groups, and the on-going Gorkhaland Agitation of the 1980s. The narratives clearly highlight her lack of correct understanding of the socio-cultural and economic dynamics operating in the area. Among many of the qualms that have perturbed the educated locals in Kalimpong forcing them to launch protests across spaces of the town, few of them may briefly be summarised. First, Kalimpong is not as bad during monsoons as highlighted by Kiran Desai. Although it rains heavily and at times spontaneously during the period, the dreadfulness of reptiles, lizards, moths, rats and such other insects are the only imaginations, far from reality. The town is located at an altitude of over 1,250 metres and has a moderate climate ranging from between 15°C to 25°C in summer and 7°C to 15°C in winter, offering year round comfort. Hence, there is no question of sub-tropical organisms bothering humans except during exceptional circumstances. Second, the author has been unable to differentiate between the Nepali speakers who have been bonafide Indian citizens and those who are Nepali citizens but working in Kalimpong on a seasonal basis. Moreover, her parallel treatment of the immigration issue in United States conveys a bad impression to the global readers about Indian Nepalis living in Kalimpong and elsewhere in Darjeeling Hills. American immigrants and Indian Nepali speakers in Darjeeling hills cannot be compared. Kalimpong along with other parts of Darjeeling was once a unit of Sikkim. While Kalimpong was snatched away by Bhutan for a brief period, other parts of Darjeeling Hills were taken over by Nepal and subsequently Darjeeling Hills including Kalimpong was taken over by British India. Hence, it is historically obvious, the region was bound to evolve as a melting pot of ethnic diversity- Lepchas, Bhutias, Nepalis, and Bengalis. Further, the development of market, introduction of tea and trade with Tibet from Kalimpong gradually encouraged other social groups- Biharis, Marwaris, Tibetans and others- to find spaces for themselves in the region. Therefore, signaling time and again that Indian Nepalis are immigrants from Nepal will not hold good. Third, the novel gives the impression that Indian Nepali speakers of Kalimpong were brought from Nepal generations ago to work on British tea plantations. This is simply not true. Out of the total functioning tea gardens in Darjeeling Hills Kalimpong sub-division accommodates only four of them. They were introduced in Kalimpong much after the British left India. Kalimpong is largely an agrarian economy. Paddy, maize, millet, buckwheat, ginger, cardamom, orange, and more recently horticulture and floriculture are the backbones of regional economy of Kalimpong. Hence, Nepali speakers in Kalimpong did not migrate as plantation labourers but as subsistent agriculturists. Further, migration had been taking place across the area much before the British set their foot in the region. Fourth, Inheritance of Loss talks of Gorkhaland Agitation but fails to understand many facets of the movement’s dynamics. It traces its root to the merger of Sikkim into the Indian Union and also the rising insurgencies in the north-east India. Such error on the part of author only reflects the fact she did not do her history homework properly. Ethnic discontentment in Darjeeling started long before the country saw its independence – around 1907 if not earlier. Moreover, mention of communal divide during the agitation is totally uncalled for. There were no instances of any kind of political harassment-s on communal lines. It was largely a united struggle against the age-old state regression. On rare occasions, however, resident Bengalis were suspected as agents of state and the ruling comrades, whom Gorkhas hated the most then. She, however, declares in one of her recent interviews “The political information is accurate to my knowledge and based on my memories and the stories of everyone I know there”. Further, it is clear from her writing that Desai could not familarise herself with Nepali language as she never uses Nepali proverbs and jargons to substantiate the local characters of Kalimpong, although she uses Hindi slang here and there. She, however, boasts of living and studying in Kalimpong before they left the place. One of the recent reviews further tells us that the author lived in Kalimpong for six weeks in 2002 for the purpose of research while she was in the process of writing her novel. Needless to say, however, as one of the editorials in a leading news daily rightly pointed out, “Art is a point of view; it is reality recast and dramatised through imagination and, if it hurts, one must simply pretend it is fiction, which it is in any case”. Fellow locals in Kalimpong should have to be logical and be in charge of their emotions. It’s a fiction and nothing more than that! Further, one also need not forget that she is a fiction writer and not a historian. I wonder why the title "inheritance of loss" was chosen? Vimal, great info. i was curious where the novel parted from reality and you gave an excellent treatment of the topic. i appreciate the article posted but at the same time i cant help appreciating the comment posted by vimal....only good things will never balance any work of art. We as non-nepalese may sit happily to know whatever the writer has written but is always to see both the sides that to just believe in the given information. this may harm us in many ways. It will help us to hold wrong prejudices about Nepal. But I think i can spare Kiran on just writer's grounds. I personally thanks for your nice work. It is really very interesting to read everything. It gives some extraordinary feeling to me. Thanks for providing the information. Thank for your good job..
An Unheard Lady GaGa Track was Unsealed this evening with no traces of where it was found. Some say that it was leaked from GaGa's Record Label's headquarters. The word "Inheritance" connotes a sense of attainment, a gain which was well- conceived before or was there with the identity of an individual who would be the successive upholder of all the "gains" coming his way because he belonged to it or was a part of the Greater 'Whole'.So, by virtue of One with the Whole the inheritance has come to him - of wealth,riches,valuables,property,name or going beyond that it could also be the inheritance of age-old values;if the successor is sensitive towards preserving them.Any sort of inheritance; it is presumed automatically makes the inheritor "rich";he 'inherits'and therefore'gains;it is presumed that he is never or can never be a loser. 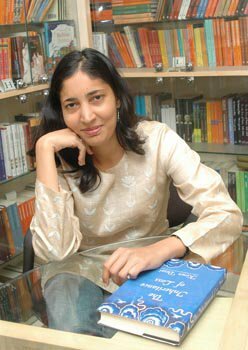 Kiran Desai in her novel has dealt with inheritance of 'loss'which has come on the way of all the characters in regard to the social and cultural perceptions of age and time.Every individual figure in her novel suffers disintegation and loss and is affected by the woes of alienity and displacement due to the changing scenario of the modern,progressive world where all his gains appear to be illusive and turn into an ultimate loss. This is an effort to express the meaning of the title the little i have understood.It is important to appreciate a work of art before indulging in fault-findings.